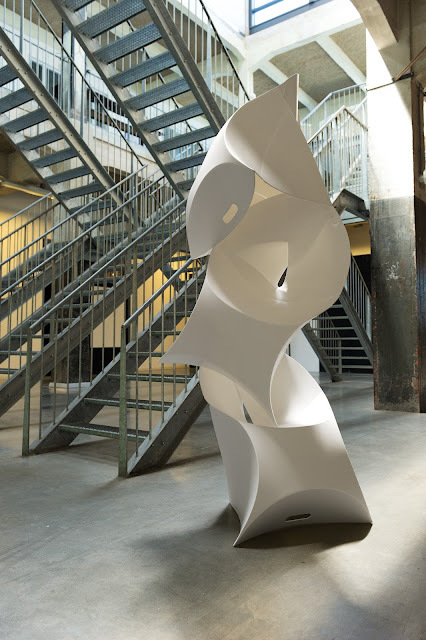 Dutch designer-duo, Douwe Jacobs and Tom Schouten founded FLUX, a company that creates flexible design. Their design philosophy is to make people wonder.... 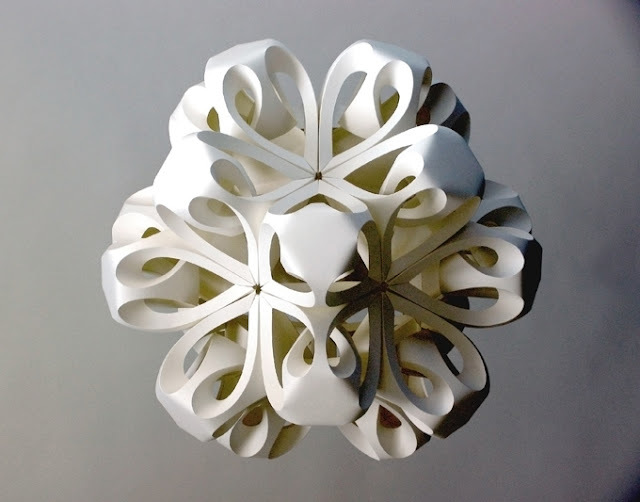 I know I was amazed, at the 2012 Architectural Digest show, when I watched a simple and super flat looking envelope transform into sculptural and functional art in two seconds. 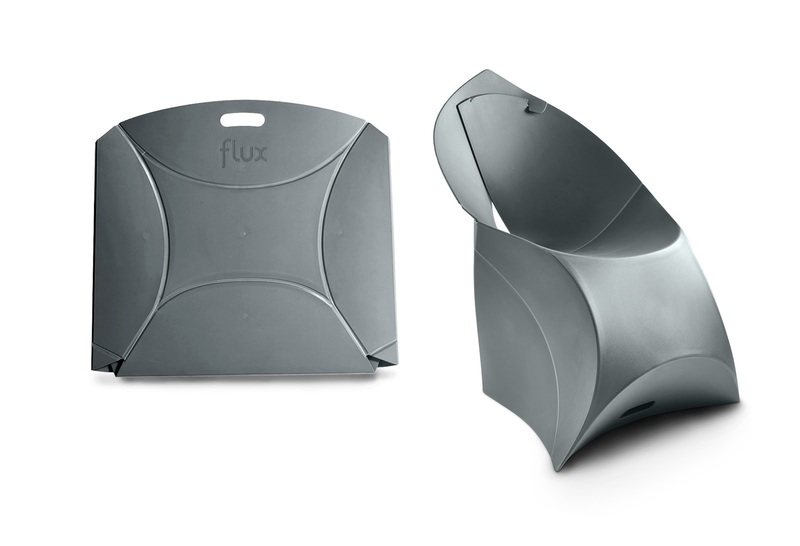 It's called the Flux chair, fitting as it means "change and flow." 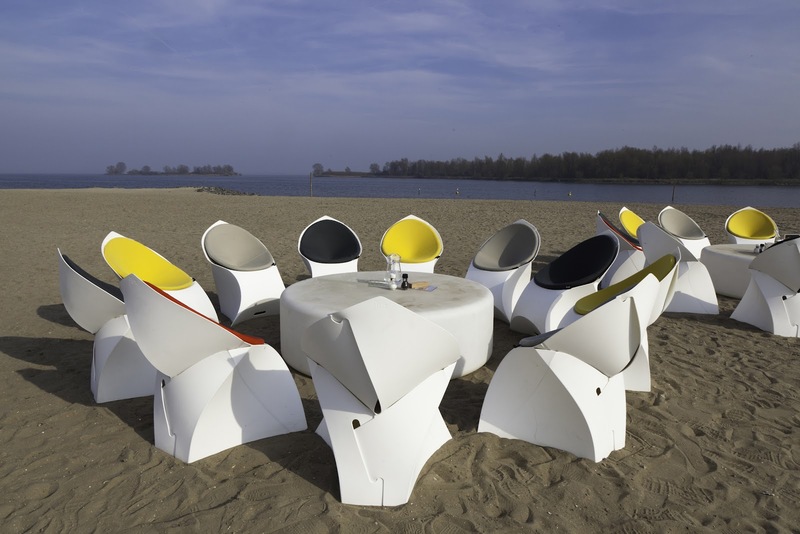 The two designers dreamt up the flux chair straight out of TU Delft, Holland design school. It was actually their graduation project. 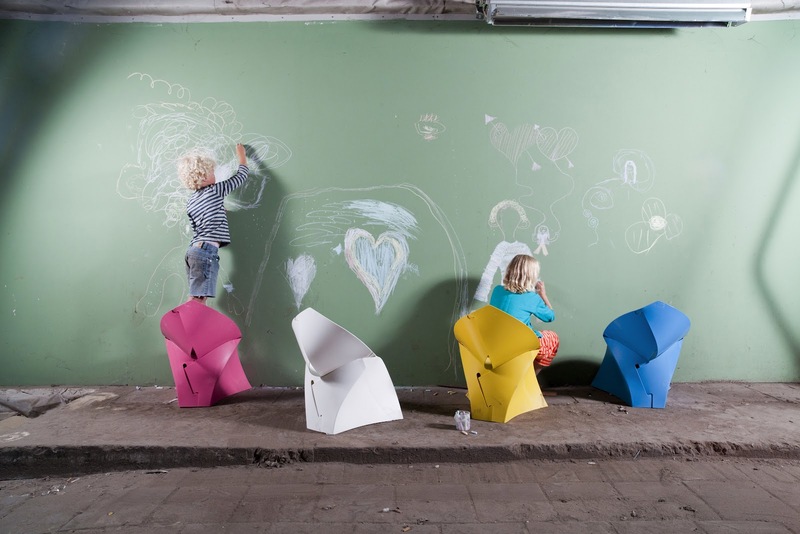 Douwe Jacobs, one of the innovators, describes their inspiring story on how the chair came to be. 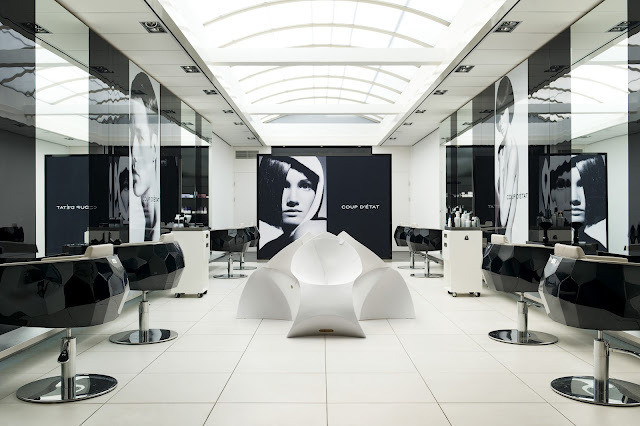 "We found inspiration in something that was paper-thin yet bulging with creativity...the works of paper artists, like Richard Sweeney, who created something intricate yet strong from a single, flat piece of material. 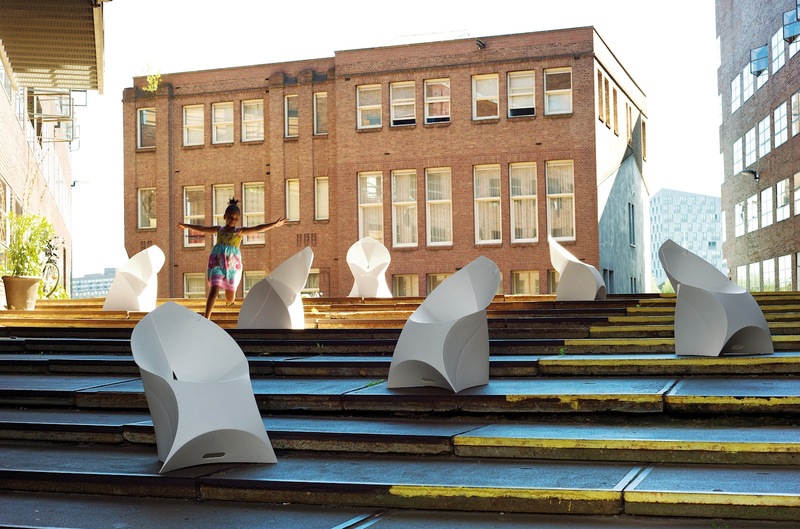 Sweeney thought sculptures; we thought chairs. The concept for a one-piece foldable designer chair was born, and the first prototypes were cut from individual sheets of paper." 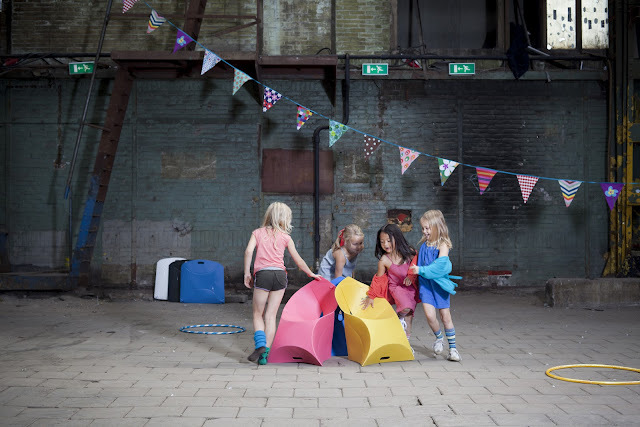 Douwe Jacobs adds, "the functional design was strong, but (if we're honest) the visuals left a bit to be desired. 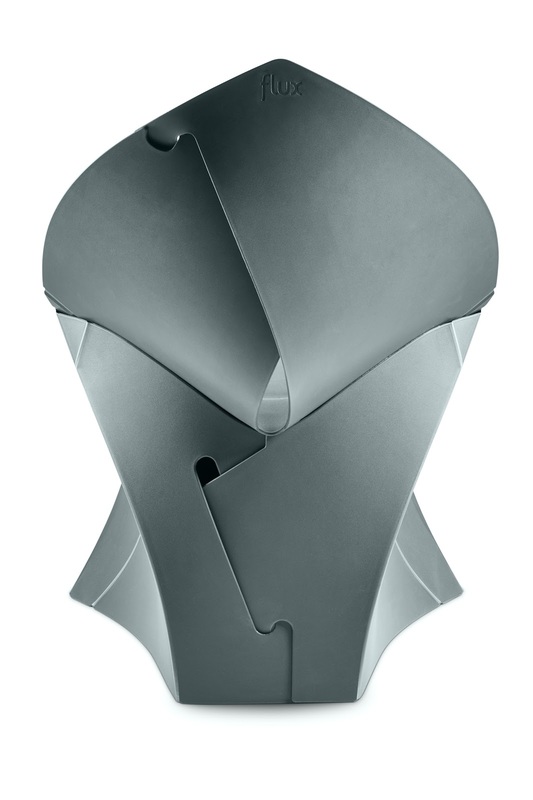 A few hundred paper chairs later and we finally hit on a winning model, albeit one that was just 8 cm high. The challenge we faced next, however, was our biggest yet. 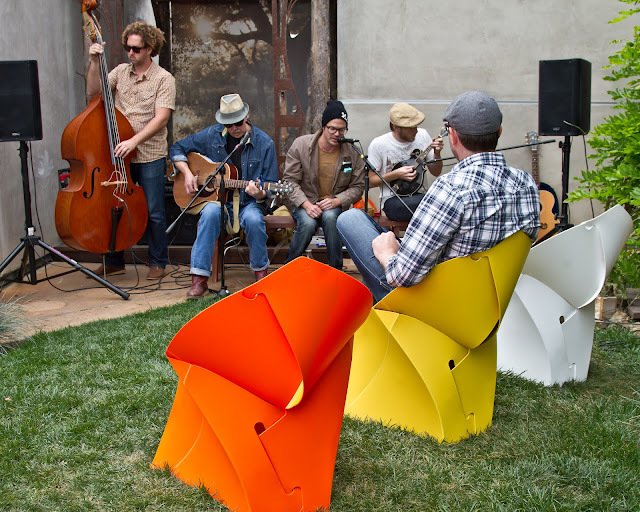 From paper to polypropylene, the single sheet of durable material from which the now flux chair prototypes were cut, turned out so big that we were told that producing an individual chair for less than a fortune could never be done...but we were stubborn types who wouldn't take no for an answer. So we raised the cash to engineer a state-of-the-art injection mould, using the biggest moulding machine in the Netherlands. It's the size of two buses - told you it was big. That little obstacle taken care of, the first flux chairs were produced. To be sure they really are as great as they're cracked up to be, every chair is checked and double-checked in the factory before they're flat-packed to be sent to lucky flux customers. 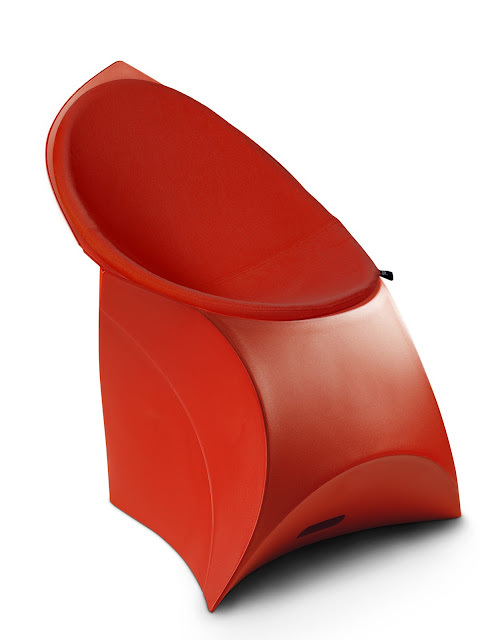 Now these award-winning designer chairs are busily living happily ever after in homes and offices all over the world." I asked Douwe about its construction. 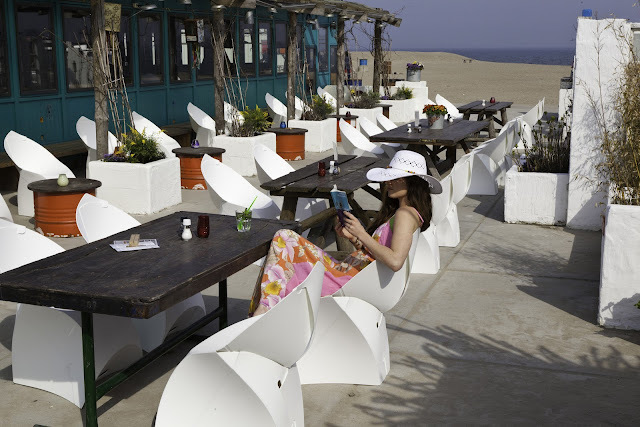 He adds," the Flux chairs are made out of a special grade of polypropylene, optimised for folding. This type of plastic makes it possible to create integrated hinges, next to the fact that it's very durable and weatherproof." The flux chair even has a mini version that comes in six colours to match its older sibling. Even has a cushion! Are you lovin' FLUX as much as I do? FLUX design is innovative, whimsical and artful! Thank you Douwe and Tom for the interview!